Flags, Flowers, and Free Nights in July! Happy Fourth of July! 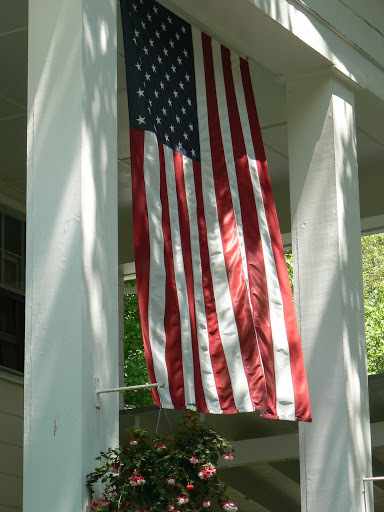 We’ve flown a large flag between our columns for 25 years, but today it seems especially beautiful rustled by a slight breeze with the sun coming through the leaves on this cool 52 degree morning. Avoid the weekend crowds and join us on a Monday in July for a four night stay and one night is FREE! This cannot be combined with other offers and does not apply to rooms already booked. 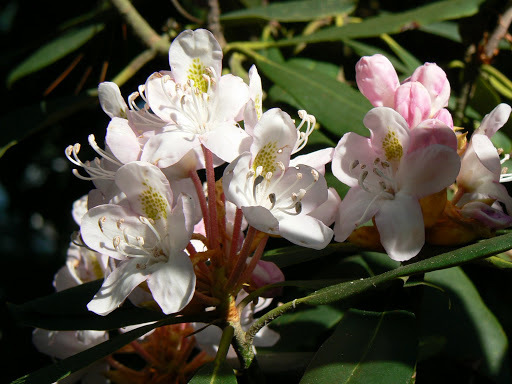 July is a great month for hiking and viewing the native rhododendron which is profuse this year and usually lasts several weeks. Enjoy these beautiful photos of native rhododendron and mountain laurel blooming next to the Inn, or better yet, come see for yourself! 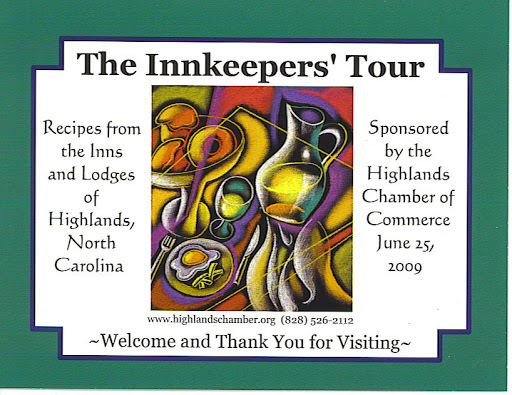 Email us at sleeptight@colonialpinesinn.com or call (828) 526-2060 for availability. 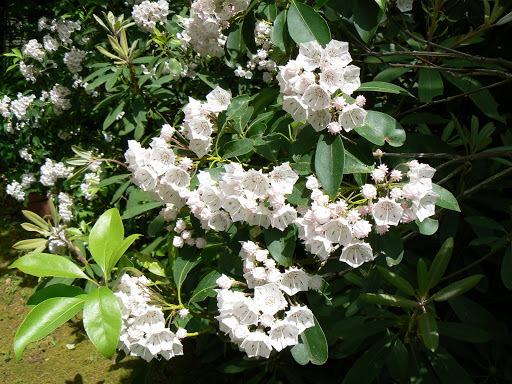 Blooms late June – July in Highlands with evergreen leaves 4-10″long and large clusters of pale pink or white flowers that are 1-1/2″ or more across. Blooms late May – June in Highlands with evergreen leaves 2-3″ long and 1/2″ bell-like petals in white to pink.